The video of BMW R1200GS, self driving motorcycle, is available on the social media as the name of connected ride. 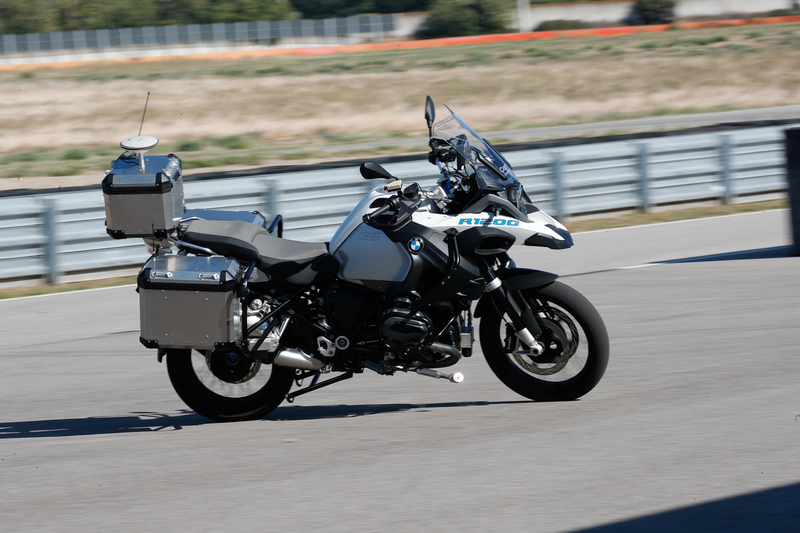 A BMW R 1200 GS made its first rounds in front of assembled journalists, as if by magic, at the BMW Group testing ground in Miramas, southern France. The bike can not self-start yet and needs someone to balance it and send it off its way. The bike is capable of reading its track ahead of it and can steer its way around as well. This riderless motorcycle allows them to play with data and sensors without the inconsistencies of a human rider, and also allows them to figure out how to effectively control the bike in cases where safety systems must protect the rider from imminent danger. This will help them understand what kind of safety measures they should adopt for the future bikes. As BMW engineer Stefan Hans notes in the video, the company never actually set out to create a self-driving motorcycle - it just wanted to figure out ways to improve motorcycle safety for riders the same way lane-keeping and autonomous braking systems help keep vehicle drivers safe. Given motorbike riders are far more likely to be injured or killed in road accidents, improving their safety is something BMW has long prioritised. Instead, as with the original concept, the ambition is to make cycling "more comfortable and increase the riding pleasure". The vehicles have benefited a lot from the systems like automatic emergency braking, lane keeping assist, blind spot and cross traffic alert systems.